There comes a time where we all have exhausted all human logic, and we realize the limitations of it. No matter what spiritual path one follows this is the conclusion that those on it, come to. To deny the presence of a Higher Force, would put one at the mercy of the restricted parameters of human logic, and to only see what is on the surface in this thing that we call “life”. This will make us miss out even the smallest things in life. Sometimes the things considered as the simplest things, can reveal the most about ourselves. We see the power of the pure love we see in the innocence of children and animals. We see this in the beauty of nature’s flowers, trees, bodies of water, and even in songs and stories. It is so easy for one to get so lost, to the point that even the simplest things in life, that are the most powerful in witnessing to the presence of a Higher Force, to which I call as “God”, will lose its luster. When we begin to see this in our lives, it is very important to reset ourselves, within our spiritual journeys, in setting ourselves back to the path towards finding the knowledge of the Higher Force, to which I, again, call God (Devum, Jehovah, Yahweh). In fact, the more we see the beauty in the smallest things in life, the further we get in our spiritual journeys. Once someone has chosen to follow or pursue a spiritual journey, that yearning will never leave….because even that urging was inspired by a Higher Force for one to pursue and follow. True, one can lose their way or deviate for a moment, but once called one will always find their way back. God calls such hearts, and like any father, He will pursue to find you, and bring you back home. It is up to us to follow Him, when He finds us again. I think the hardest thing for any person, once they have chosen to pursue a spiritual journey, is they begin to see things for its face value, and there is a discernment that enters within a soul. Your soul is not at peace if it goes against the ways of this path, no matter how much the human body wants to. As souls that decide to follow the path to spiritual enlightenment, it is important to take on the reproof of the Higher Force (God, Devum, Jehovah, Yahweh) in order to find the ways of the Eternal Paradise. The more we do, the closer we get on our spiritual journeys. 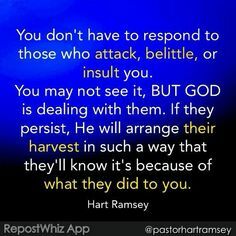 This entry was posted in Thoughts and tagged Armor of God, Devum, discernment, enduring trials, Faith, God's Love, Guidance of the Holy Spirit, Jehovah, Listen for God's Call, Path to Truth, Spiritual Battles, Spiritual Discernment, Spiritual Journey, Yahweh on December 2, 2017 by foodforthespiritualsoul.